Developments that could increase or decrease steel production and shipments around the world. 01 Apr 2019 - The chairman of the China Iron & Steel Association is calling for domestic mills to restrain production as output rises despite that the country’s economy appears to be cooling. 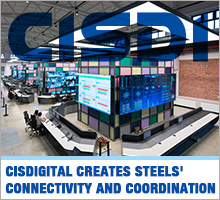 21 Mar 2019 - At JSW Steel’s restarted mill in Mingo Junction, Ohio, USA, veteran operators, who thought they’d never see the facility run again, are again making steel – and coaching the next generation. At the same time, they’re restoring some hope to the blue-collar town.